Railway Recruitment Cell RRC released the official notification for recruitment 2013 for Group-D posts for different vacancies. All the details are available at the official website of recruitment cell north railway rrcnr.org. Last date is 24 June 2013. Interested candidates can apply directly for the various railway jobs 2013 on the official website of recruitment cell. Candidates can send application in the prescribed format available in the official documentation of the recruitment 2013. 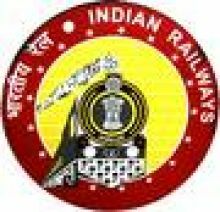 More details about the Delhi Railway Recruitment 2013 is available in the advertisement document, download this document and check your criteria and eligibility to apply for these railway jobs 2013. Age relaxation, reservation, education qualification, number of vacancies etc. is available in the document so please read the whole advertisement and sure about the eligibility criteria of the railway recruitment 2013 for Group D posts.